Not many host plants have as much charm as Malva Sylvestris. 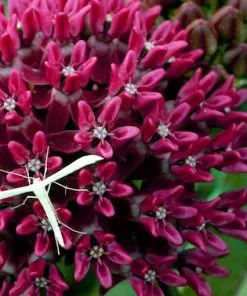 The Painted Lady butterflies lay their eggs on this plant (among many others) so when they hatch the caterpillars can start munching along on their way to becoming a butterfly. In this article you can find information about growth, care and propagation. This Mallow is native to Europe but has long since naturalized throughout most of the United States extending into Canada. 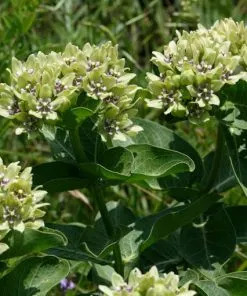 It is hardy from about zone 4 or 5 to zone 8 or 9 depending on the variety. The Zebrina variety sold below is hardy from zone 5-9. 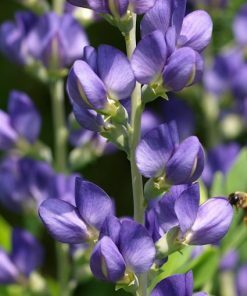 Malvas are short lived perennials or biennials, however, they reseed readily. 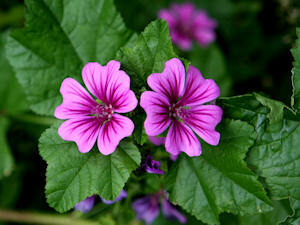 Malva sylvestris also flowers profusely the first year so it may be treated as an annual in colder areas. 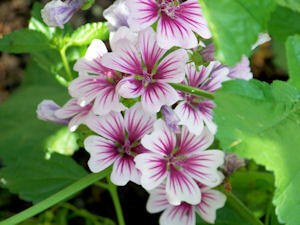 Malva sylvestris prefers full sun but will tolerate part shade. 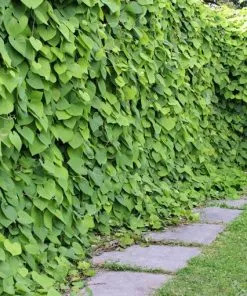 It is very tolerant of a wide variety of soil types and pH as long as it has good drainage. This Mallow, often called Tall Mallow or French Hollyhock, is a shorter cousin of the Hollyhock and is considered to be easy to grow. 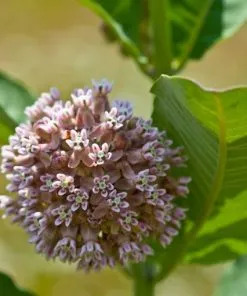 Because this plant can be easy to grow and reseeds readily, keep in mind that if you do not want reseeding or find it to be too much, you may want to cut off the flower heads before they go to seed. Malva sylvestris is a host plant for Painted Lady butterflies. Painted Lady butterflies have a very large list of plants that theircaterpillars can eat (host plants) compared to many other butterflies. 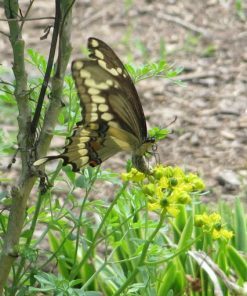 Planting Mallow will not guarantee an instant visit from an egg-laying Painted Lady but it will certainly increase your chances and be a beautiful addition to a garden for butterflies. 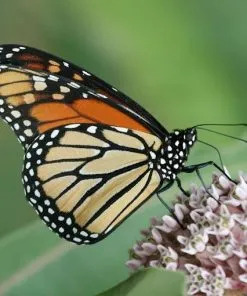 Painted Ladies lay their eggs on the top of leaves usually and they have a bluish tint. The caterpillar loves to curl up a leaf (or leaves) around itself with its webbing. If you see webby looking curled leaves and some small black dots (frass – caterpillar poop) then you probably have a caterpillar in there enjoying the Mallow. 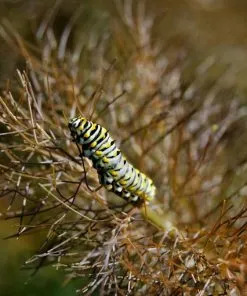 Often times, these caterpillars will make their chrysalises inside a leaf nest on their host plant rather than crawling far away from the plant like many other butterfly species caterpillars do when they are ready to pupate. 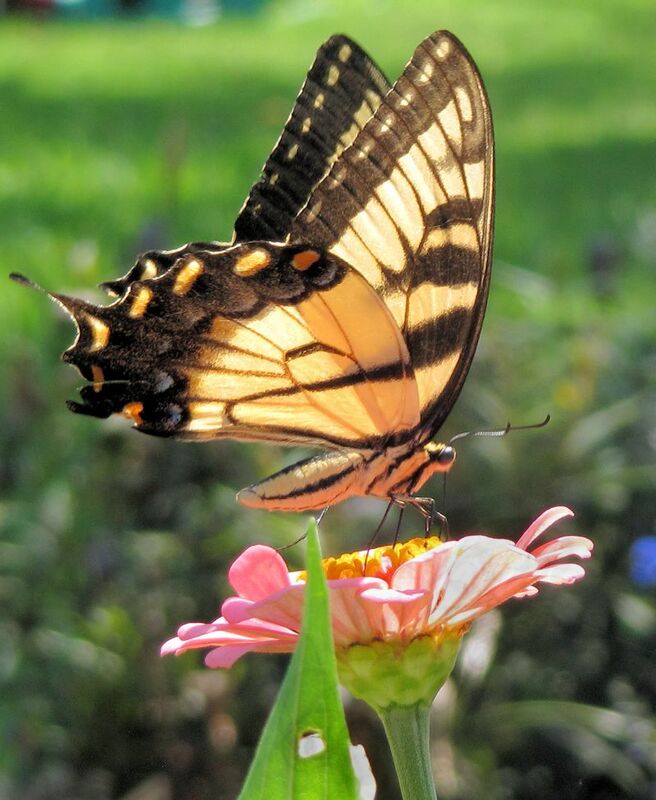 Painted Lady butterflies will use many different Mallows as well as other types of plants on which to lay their eggs. 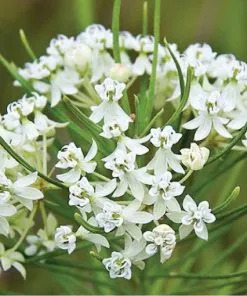 They are unusual in that there are more than 100 host plants recorded for their use. 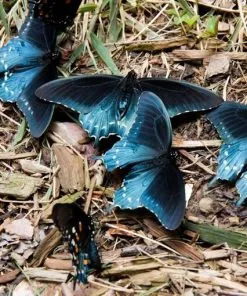 Many butterflies are much more particular. 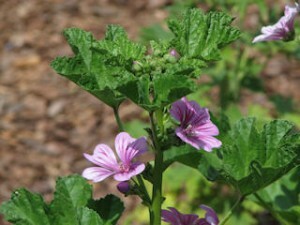 Of the family of Mallows, some are considered weeds but a few are sought out for gardens. Malva Sylvestris, also known as High Mallow or Tall Mallow, is one of the plants that Painted Ladies will use and is also a beautiful garden plant. 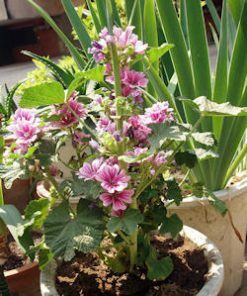 There are different varieties of Malva sylvestris and the one that we carry seeds for is Zebrina, also known as Zebra Hollyhock. Zebrina has striking dark maroon veins over light lavendar petals that comes back “true” from seed (however, the background color of the petal can vary in intensity from seed to seed). 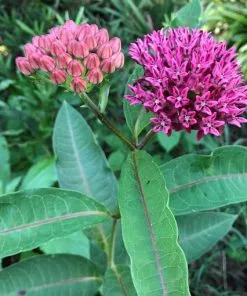 It has been around awhile and is an heirloom cottage garden plant that was even grown by Thomas Jefferson at Monticello. 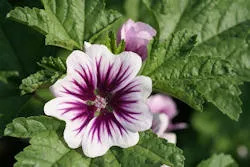 Other garden Mallows that Painted Lady caterpillars will eat include Malva sylvestis Mauritiana but the Zebra Hollyhock seems to be a bit more popular among gardeners. 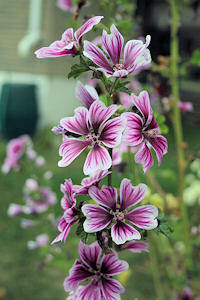 There is also a Mallow called Tree Mallow (Lavatera maritima) that is used as a Painted Lady host plant. 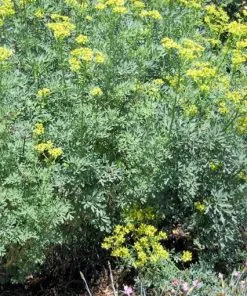 It is shrub that enjoys the drier heat in the Southwestern US. Seed is the main form of propagation since it grows readily from seed. You can Fall/Winter sow this seed or sow in the spring either by starting it indoors or directly outside. 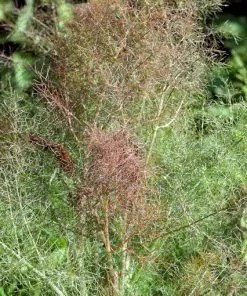 When sowing, spread over worked/fine soil then barely cover with fine soil about 1/16 inch deep. Keep moist and seeds should germinate in 7-21 days. Zebra Hollyhock may also be grown in containers.